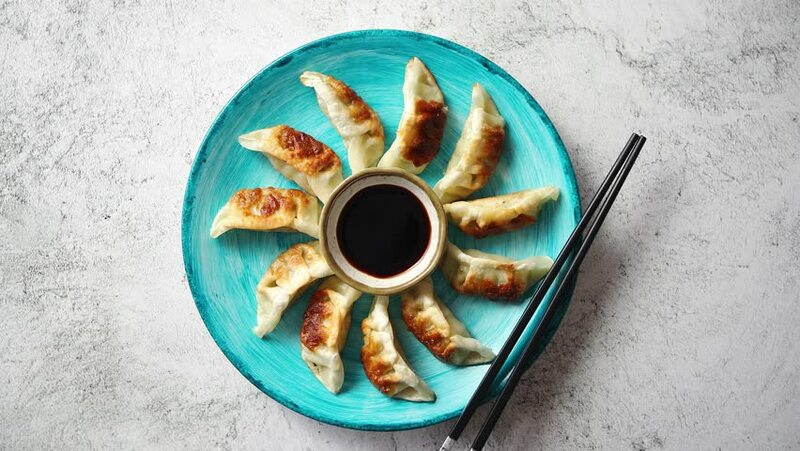 4k00:31Traditional asian dumplings Gyozas on turqoise ceramic hand painted plate served with chopsticks and bowl of soy sauce over concrete texture background. Top view with copy space. hd00:26Grilling organic peaches in cast iron skillet.